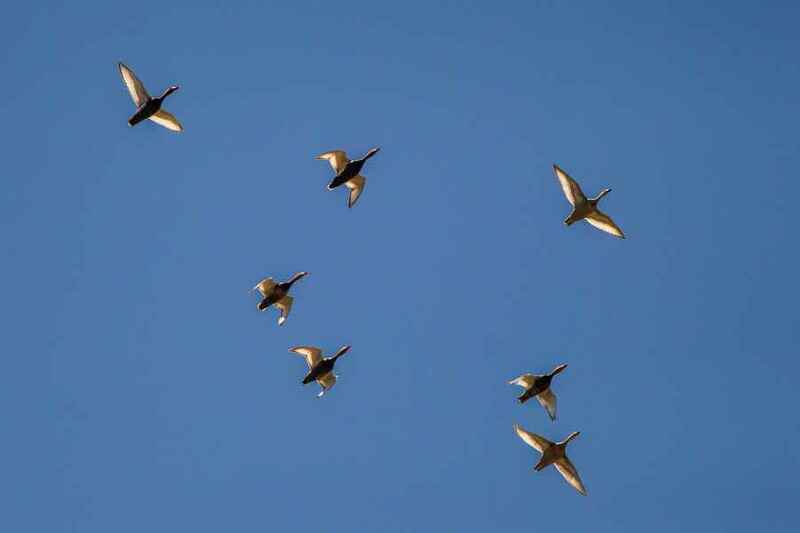 Unmistakeable! 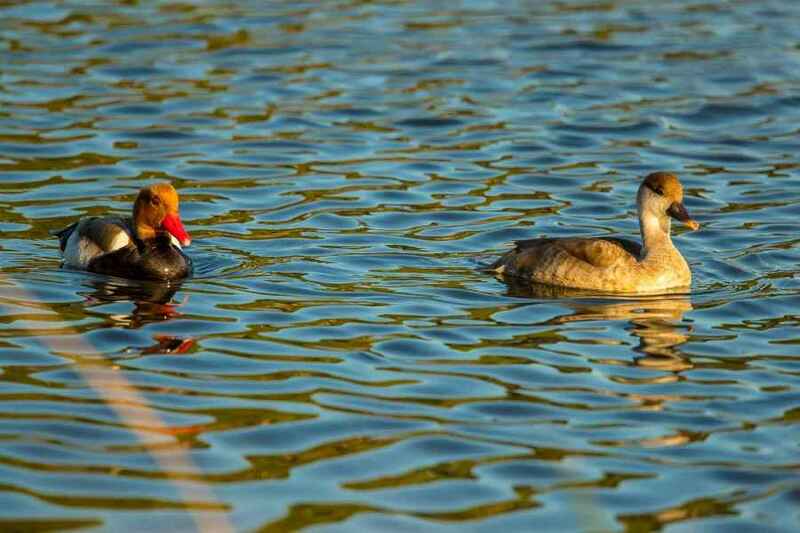 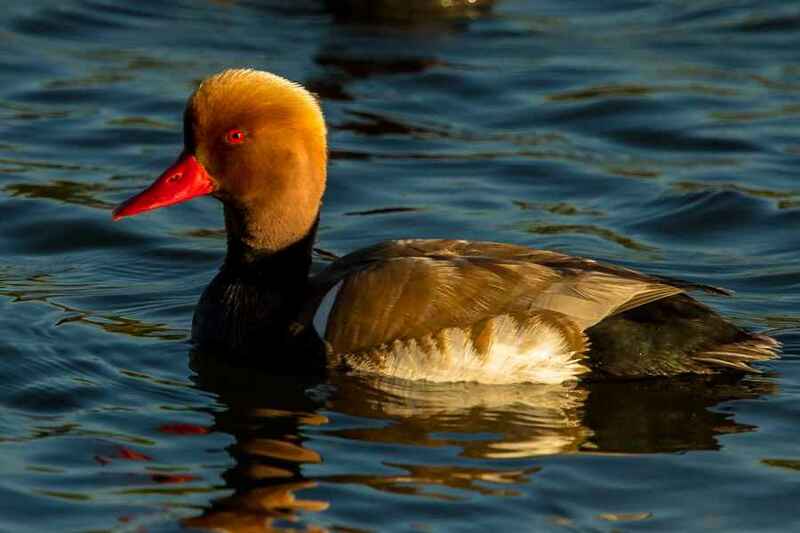 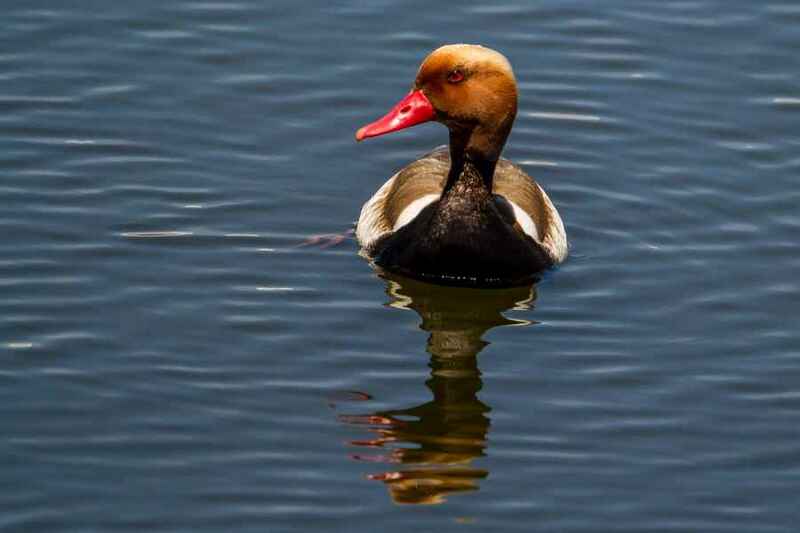 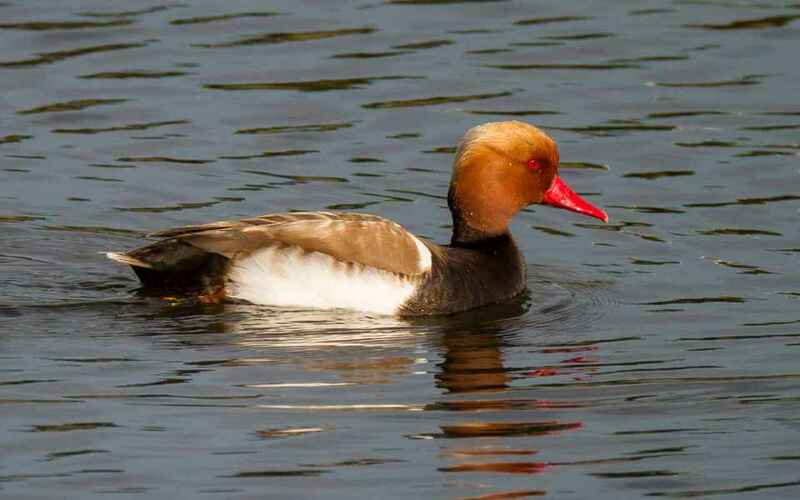 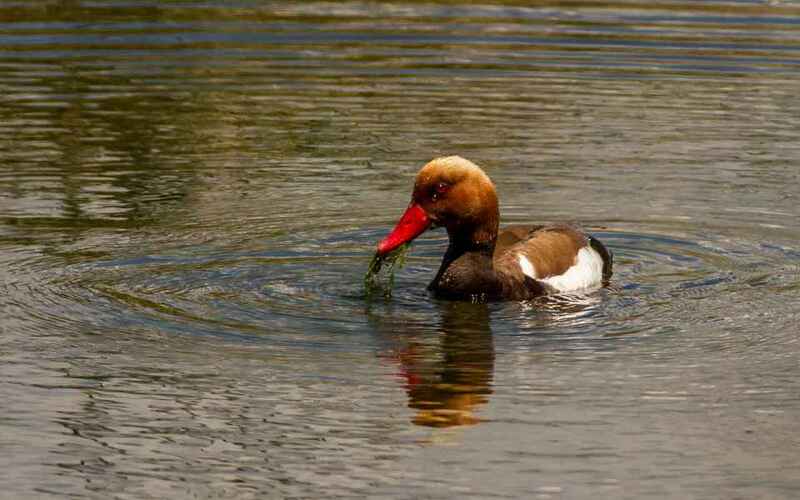 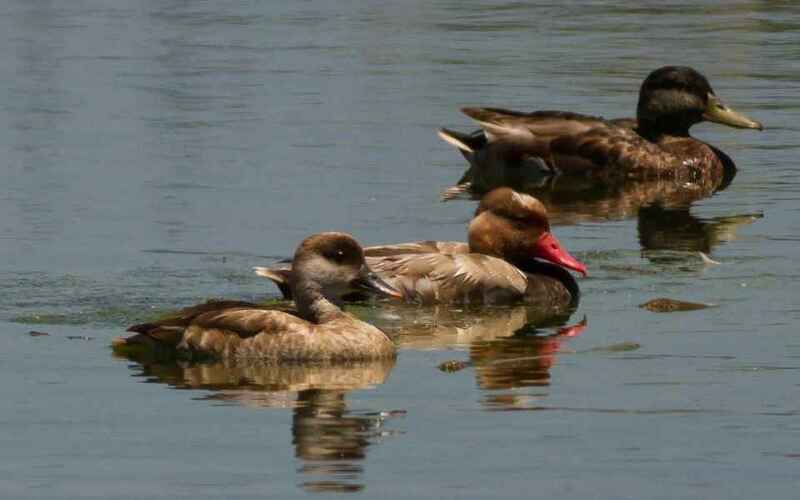 The male Red-crested Pochard's bright red bill and ginger top-knot with white flanks and black belly easily tell it apart from any similar species, though the female is slightly more cryptic, but more colourful than the Common Pochard. 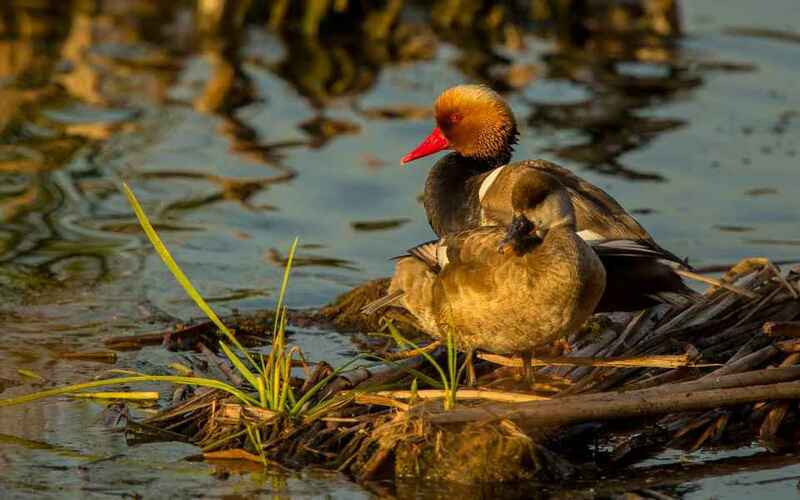 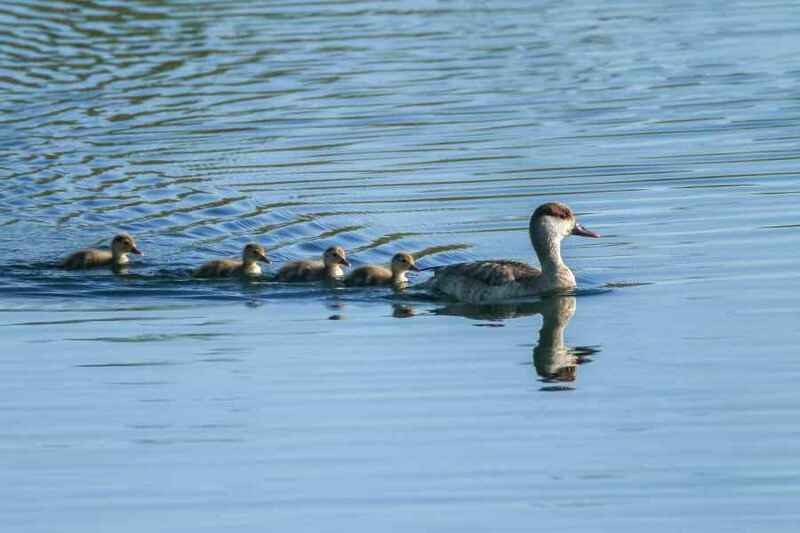 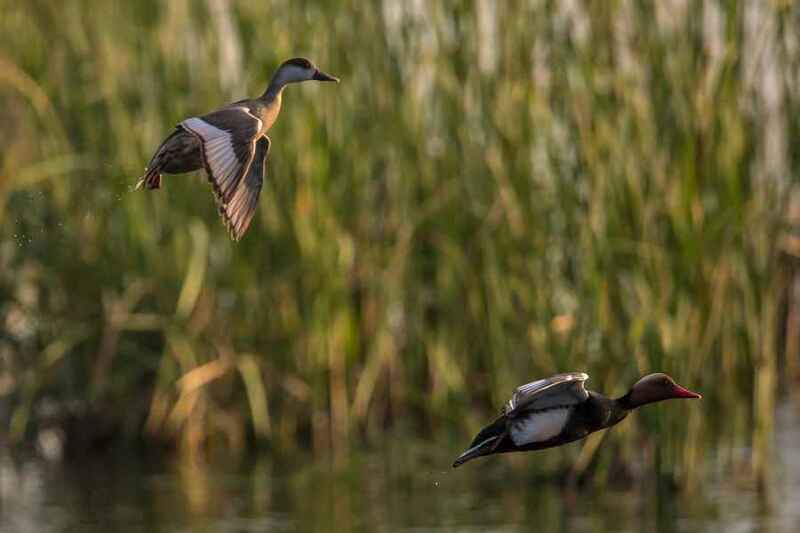 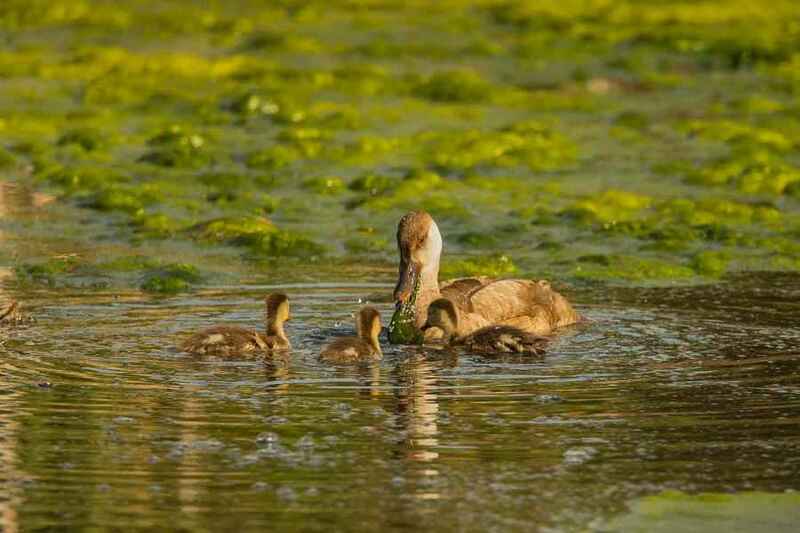 A good deal rarer than the latter, they can still be found easily in Portugal, preferring coastal lagoons in the south of the country and are resident here throughout the year.